October 18, 2016 – The MLEA team met at Hartford School for introductions and to briefly explain the process and responsibilities of being a member of the team. November 29, 2016 – The entire MLEA team met with our NJEA Field Rep (Harry Zakarian) and our NJEA Consultant (Deb Bruhn) at the NJEA Uniserv office from 4:30pm – 6:15pm. The process of negotiations was discussed with new team members. A plan was developed to verify the district’s scattergram. A scattergram is a list of all district employees, their years of service, step on salary guide, salary, and any longevity received. It is important to confirm these numbers as they serve as the base cost of salaries from which we develop our monetary proposals. Every member’s help is truly appreciated in this undertaking. December 8, 2016 – The MLEA team met at Hartford to develop a membership survey. The results of the survey will be used to guide the team in writing an initial proposal to the Board of Education. January 17, 2017 – The MLEA team met at the NJEA UNISERV office to discuss scattergram verification and issues previously submitted by members of the association. A discussion began about larger issues that will be included in the Association’s proposal. The meeting lasted from 4:30pm – 7:00pm. The team thanks the Association Reps and Membership for helping complete both the scattergram and negotiations survey. The response rate was very high. February 21, 2017 – The MLEA team met at the NJEA Uniserv office to review membership survey results. An initial proposal was started. The meeting lasted from 4:30pm – 6:30 pm. February 28, 2017 – The MLEA team met with the Board of Education for introductions and to develop the ground rules for negotiations. It was a brief 45-minute meeting. March 13, 2017 – The MLEA team met at the NJEA Uniserv office to finalize the association’s proposal. The meeting lasted from 4:30-6:45pm. March 30, 2017 – The MLEA Team met with the BOE team to present the association’s proposal. The meeting started at 6:00pm and lasted until approximately 7:30pm. April 11, 2017 – The MLEA Team met with the BOE Team at Hattie Britt. The meeting lasted from 6:00pm until approximately 8:00pm. Questions were answered about the Association’s proposals and the BOE shared their initial proposals. The MLEA Team will be meeting on May 2 to prepare a response to BOE proposals. May 2, 2017 – MLEA team met at NJEA Uniserv @ 4:30pm. A response was formulated to the BOE’s initial proposals. The meeting lasted until approximately 6:45PM. May 9, 2017 – The MLEA Team met with the BOE Team at Hattie Britt. The meeting lasted from 6:00pm until approximately 8:00pm. The MLEA Team responded to the BOE proposal as well as asked clarifying questions about issues on which we were unsure of intent / meaning. May 30, 2017 – The MLEA Team meet with BOE team at Hattie Britt. The meeting started at 6:00pm and lasted until approximately 8:00pm. The BOE responded to previous questions asked by the MLEA. A few *caucuses were held during the meeting and some language proposals were resolved. June 6, 2017 – The MLEA team met at Uniserv at 5:30pm. The meeting lasted until approximately 8:00pm. The team worked on a comprehensive economic proposal to present to the BOE at the June 15th meeting. June 15, 2017 – The MLEA team met with the BOE team at Hattie Britt. The meeting began at 6:00pm and ended at approximately 8:00pm. Open issues were discussed and the MLEA presented their comprehensive package. June 22, 2017 – The MLEA team met with the BOE team at Hattie Britt. The meeting started at 6:00pm and ended at approximately 8:00pm. Open proposals were discussed. The next meeting is set for July 11th at 5:00pm. July 11, 2017 – The MLEA met with the BOE team at Hattie Britt. Negotiations continue on open issues. The meeting started at 5:00pm and lasted until approximately 7:45. August 15, 2017 – The MLEA team met at the NJEA Uniserv office from 3:00 pm until 5:15pm. The MLEA worked on a counter proposal to the latest BOE offer. August 22, 2017 – The MLEA team met with the BOE team at Hattie Britt. The meeting began at 1:00pm. Negotiations continued with both sides packaging items in order to try and reach a settlement. The meeting ended at approximately 4:30pm. * For the sake of negotiations, a caucus is considered a group within an organization that meets independently to discuss strategy or tactics. 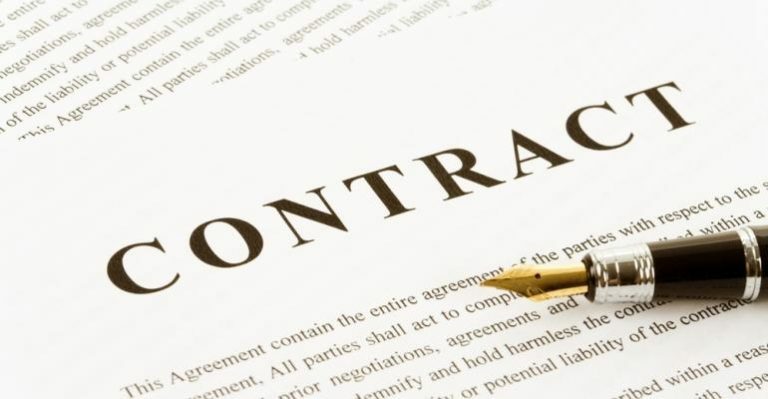 OUR NEW CONTRACT WAS RATIFIED BY ALL PARTIES!